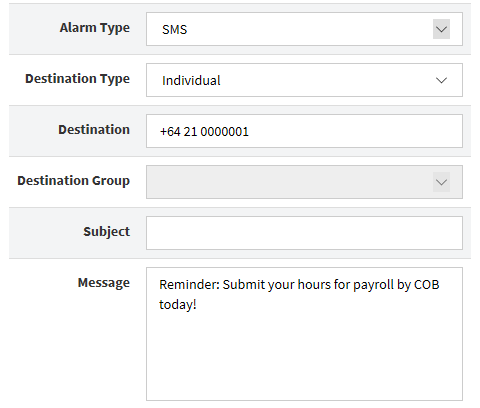 Scheduled Alarms is a tool for sending regular, automated messages. Using the simple dashboard tool, you can send Email and SMS messages to single recipients or groups of contacts. Messages can be set to send at a set date and time, and repeat daily, weekly or monthly.